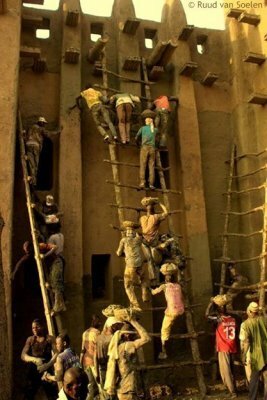 The old town of Djenné is listed as a UNESCO world heritage site and well-known for its mud culture. 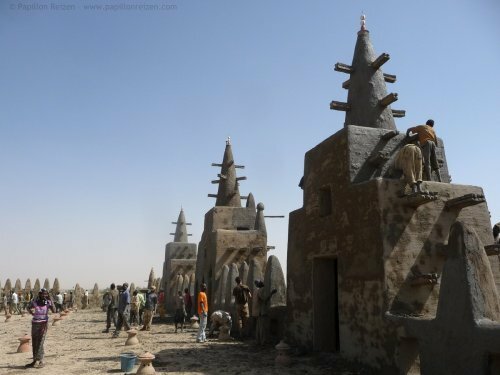 Walking through the little alleys, you find yourself surrounded by mud-built structures with Moorish influences. 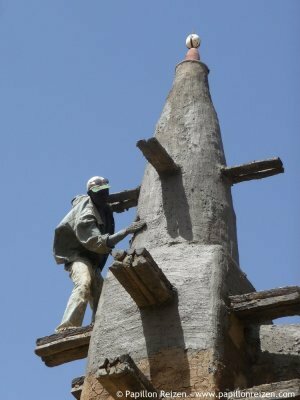 In the centre of Djenné the Grande Mosquée, the world’s largest mud-built structure proudly stands. The square in front of the mosque - home to the Monday market - looks like a mud pool. Groups of boys, divided in teams per neighborhood, arrive running. The baskets on their heads are filled with mud from the river. The sounds of the drums and the encouragements of their captain uplift the spirits. Girls arrive with buckets of water, giggling and talking. Mud is flying through the air. 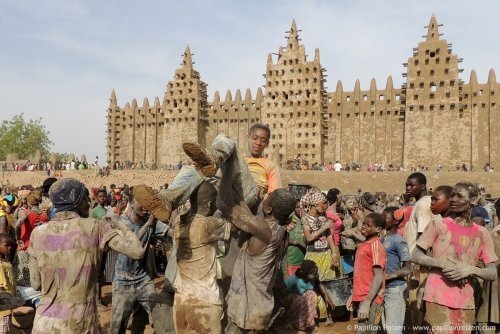 During the annual plastering a lot is allowed, including entering the mosque, mud fights and flirting. 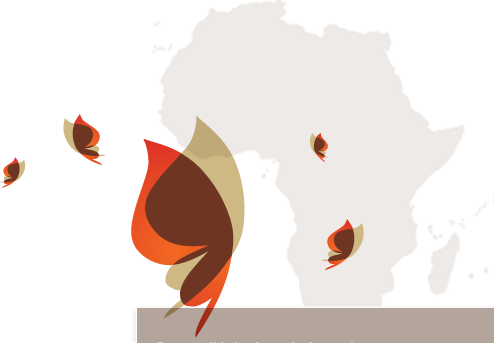 Take part in a truly unique event, that makes you connect with the local people and their culture! Accommodation, breakfast, English (and French) spoken local guides, all costs related to the activities including tourist taxes and tokens of respect to the village chief & elders. 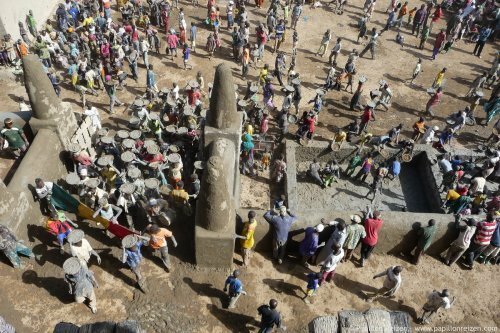 Transport to and from Djenné, personal insurances (such as travel and cancellation insurance), drinks, other meals, souvenirs, personal expenses. Hotel and room type to your choice. A good shape and flexible attitude are required to take part in the activities.